If you have been lucky enough to fly in an airplane, you know the world down here looks very different from up there. Mountains look like wrinkled drapery. Riverbeds look like jagged scratches on the surface. Farm land looks like a crazy quilt of greens, browns, and yellows. The view from up there tells us a lot of what Earth is all about. 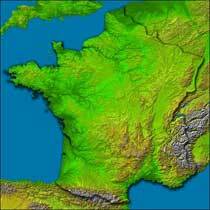 So wouldn't it be wonderful and useful to have a nearly perfect 3-dimensional map of the world? 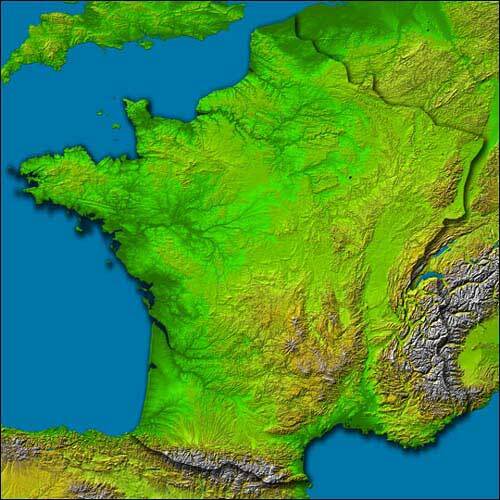 Then we could see not only the shape of coastlines and extent of land and water masses, but also the height of mountains and the depth of valleys. 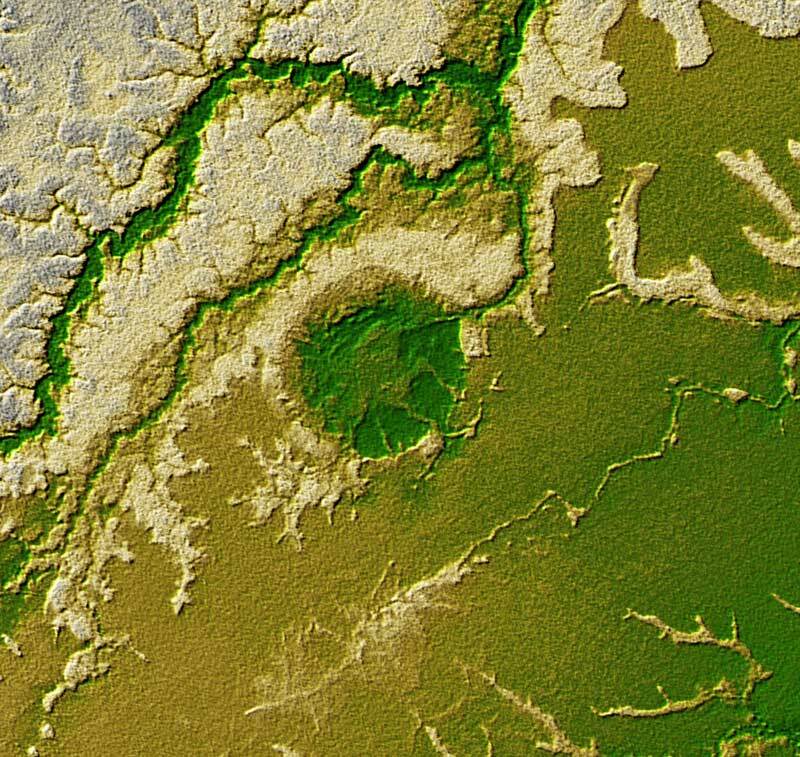 The National Imagery and Mapping Agency of the U.S. Department of Defense, along with NASA and the Jet Propulsion Laboratory, are making the most detailed and accurate topographic map ever of almost the whole world. And they have gathered all the information for it in only 10 days! The Shuttle Radar Topography Mission flew on the Space Shuttle Endeavour in February 2000. It used a technology called imaging radar. Imaging radar bounces a radar signal off the ground, then measures how long the signal takes to come back and how strong it is. From this information, we can make very accurate pictures of the surface, its bumps (like mountains, hills, and valleys), its textures (like forests, lakes, and cities), and its changing moods (like volcanos, floods, and earthquakes). And imaging radar can see all this day or night, cloudy or clear. Telescopes use light to see things. Imaging radar uses a different kind of light, but at a much longer, lazier wavelength that our eyes do not see. That is why radar can penetrate clouds. It passes right through them. 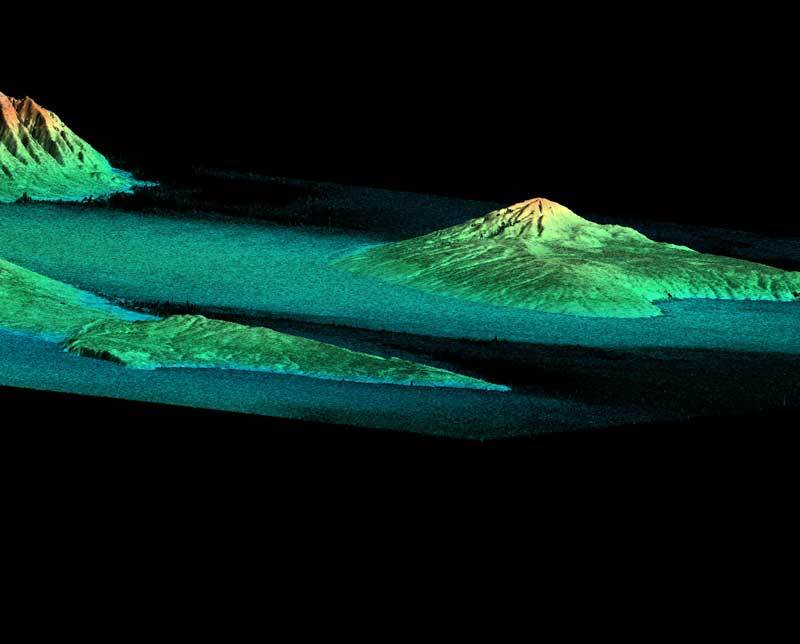 We have flown imaging radar missions before and made radar images of different parts of the world. 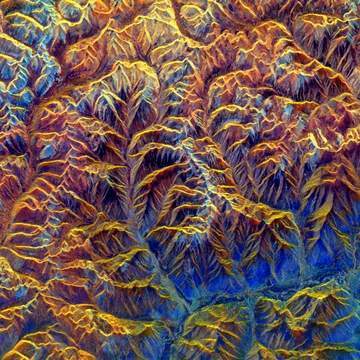 For example, this picture of the mountains in Tibet was made by an imaging radar mission called SIR-C/X-SAR. The beautiful colors were put in later to make the details easier to see. But what is really new and special about the Shuttle Radar Topography Mission is that it combines imaging radar with another wonderful technology called interferometry. Elsewhere on The Space Place, we talk about interferometry as it will be used in ground telescopes. The Shuttle Radar Topography Mission used interferometry by flying two separate radar antennas placed 60 meters, or 200 feet, apart! The mast that held the two radar antennas apart is the largest "unfolding" structure to ever fly in space. Just to give you an idea how long 60 meters is, here's a picture of five big, city buses lined up alongside the mast when it is fully deployed (unfolded). When the mast was folded up inside the Space Shuttle bay for launch, it was only 3 meters (10 feet) long. That's like squashing basketball star Shaquille O'Neal from his normal 7-feet 1-inch down to only about 4 inches tall! Here is a picture of the 60-meter mast extended its full length inside a laboratory. 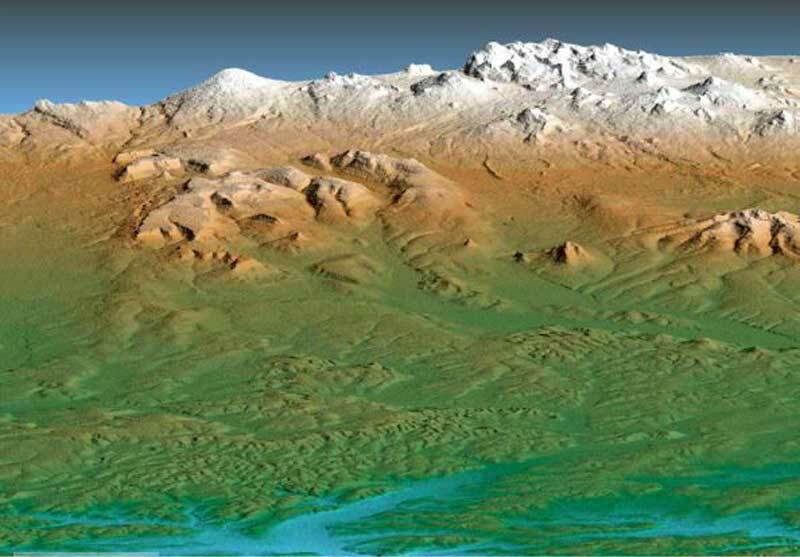 The "images" received by the two antennas were very carefully combined to give precise information about the height of the terrain below—in other words, to give a 3-D image! 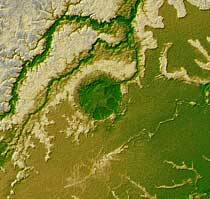 We will end up with the best topographical map of the world ever made. Check out this fun demo of 3-D map making using your teddy bear.